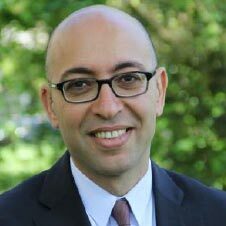 Wassim Chourbaji serves as vice president of government affairs for Qualcomm. In this role, he is responsible for overseeing Qualcomm’s public policy agenda and its relationships with governments and related organizations in Europe, Middle East and North Africa; he is also in charge of EU affairs in Brussels. Wassim is currently chairman of DigitalEurope spectrum group and vice-chairman of techUK communications policy council. Prior to joining Qualcomm in 2006, Wassim worked for France Telecom Group where was in charge of spectrum strategy. He was designated at that time, by European administrations, coordinator for the World Radio Conference 2007. He was also elected chairman of the GSMA Europe frequency group. Prior to that, Wassim worked for Alcatel Space (SkyBridge) as a regulatory manager and for Bouygues Telecom as a spectrum engineer. Wassim is a graduate engineer from SUPELEC in France and holds a master’s degree in wireless communications and signal processing from Paris University.